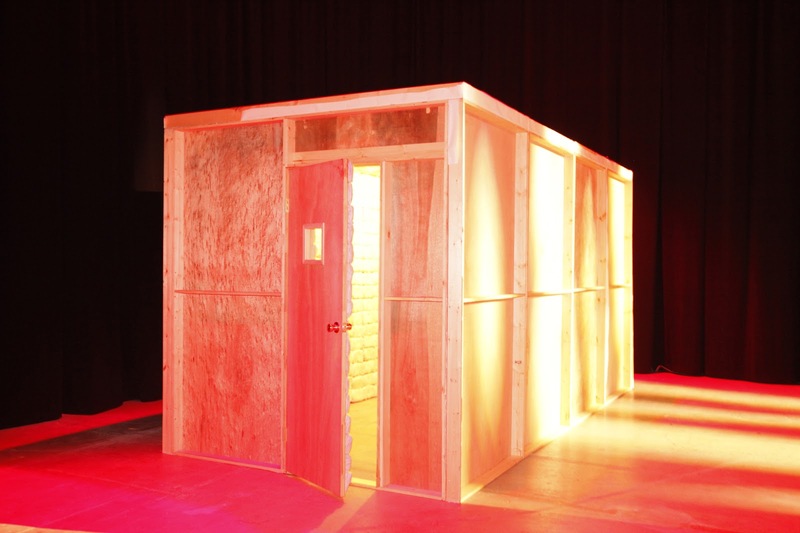 Ever wonder how many cones of cotton candy it would take to build one room? The answer: 1800. 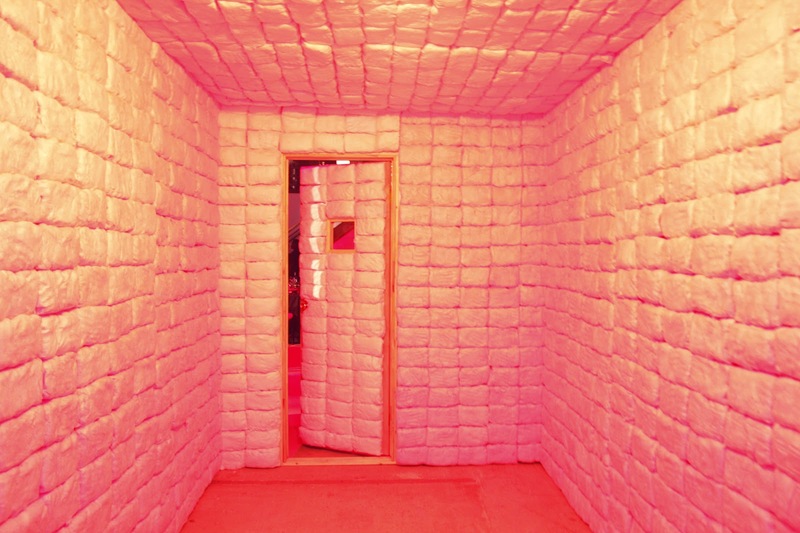 Artist Jennifer Rubell created an installation featuring an 8'x16' freestanding room completely padded with pink cotton candy: "Padded Cell acts as... an all-American funhouse that is at the same time confining, threatening, claustrophobic. It is an object that addresses the dark side of pleasure, the price of pleasure, the possibility that pleasure is its own punishment." * Horrible sugar toothaches not withstanding.